The Mil Mi-171A2 multirole helicopter will be fully certified by August 15, Russian Helicopters CEO Andrey Boginsky CEO has announced. Boginsky added that the milestone had originally been planned to take place in time for this year’s MAKS aerospace exhibition. The MAKS dates were then moved from August to July, so the company decided against speeding up the certification process. UTair Aviation, Russia’s largest rotorcraft operator, has signed an official memorandum with Russian Helicopters, active until late 2019, to aid in the process of bringing the Mi171A2 onto the market. The airline is to “participate in optimizing technical and operational documentation for the Mi-171A2, in setting up the associated logistics support infrastructure, and in expanding the scope of the helicopter’s possible roles”. 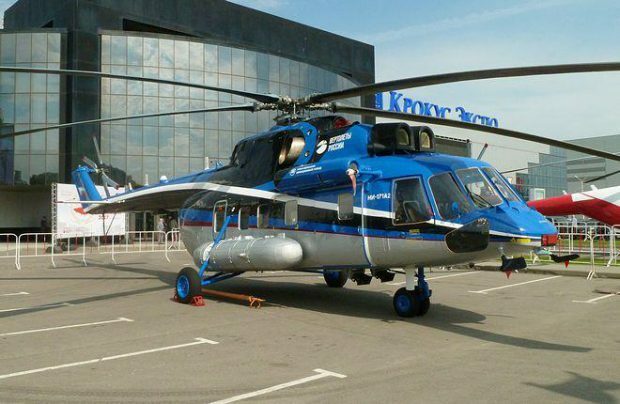 Despite the fact that the baseline version of the Mi-171A2 has not yet been certified, Russian Helicopters is working to develop an offshore modification under an agreement with Gazprom. The gas giant has promised to order a certain number of such rotorcraft. No further details are available on the offshore version. The Mi-171A2 is the latest iteration of the Mi-8/17/171 helicopter family. The aircraft, which first flew in 2014, is equipped with the KBO-17 digital integrated avionics suite. It also has composite main and tail rotor blades.